Flowers are in full-bloom in Baguio during the whole month of February. Hence, the summer capital of the Philippines celebrates the Panagbenga Festival every February. This festival is uniquely Baguio as it transforms the city to a colourful, vibrant and fragrant destination. Locals parade on the streets, tourists dance to the music, and everyone can enjoy the scent of fresh flowers—a true feast for the senses. Enjoying Panagbenga is not limited to your sense of sight, hearing, and smell. Your sense of taste can join in the party, too. 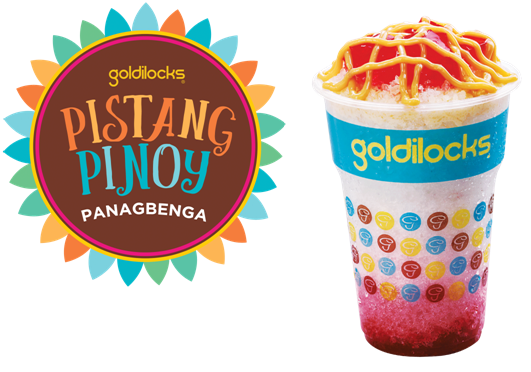 Goldilocks, the country’s number one bakeshop, commemorates the Panagbenga Festival by offering you the Strawberry Caramel Thirst Quencher. This tantalizing strawberry-flavored drink is a surprising way to quench your thirst when you need a break from the water bottle. Topped with sweet caramel syrup and strawberry gelatine is sure to refresh and cool you, much like a trip to Baguio would. Grab the Strawberry Caramel Thirst Quencher at any Goldilocks Foodshop Stores nationwide starting February 12, 2016. Satisfying your thirst with Strawberry Caramel Thirst Quencher is just one of the best feelings in the world you can ever dream about.